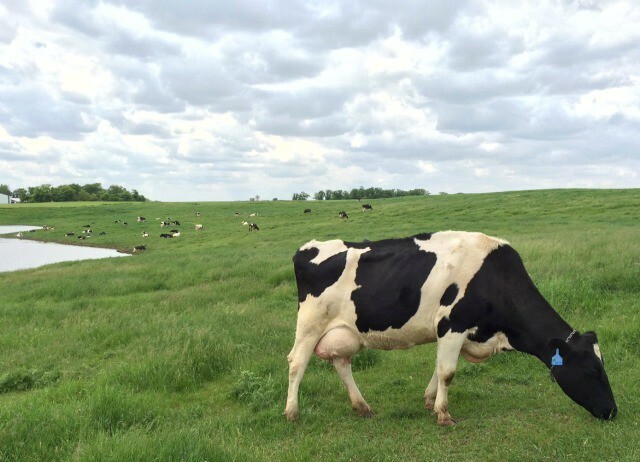 I spent a few days last week in Minnesota, immersing myself in dairy land with Land O’Lakes and some blogging friends. I had SO much fun on this trip! The twin cities are great! The first night we all flew in and had dinner at Pizzeria Lola, which is run by that sweet little Korean lady you see in the back in the photo below (Chef Ann Kim). She talked about how her mother’s Korean cooking inspired her to make her Korean BBQ Pizza and the Lady Zaza pizza (it has kimchee on it!) and I totally loved them. My mom is from Korea so I was totally digging the flavors! Top left: The best meatballs I’ve ever had. Right left: Lady ZaZa pizza with kimchee. Bottom left: Korean BBQ pizza. Bottom right: Homemade soft serve with olive oil and sea salt. So good! 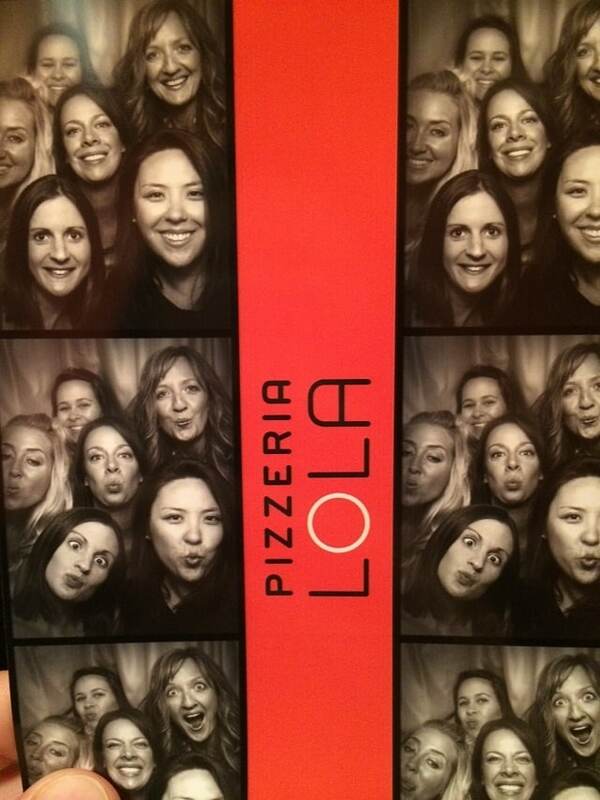 We capped the night off with a little time in the photobooth. Such a fun idea for a restaurant! The next morning we were off to visit Sadie’s dairy farm to learn all about a dairy farmer’s way of life. This was my first time at a dairy farm and it was SO cool to see Sadie’s family’s passion for providing milk to Land O’Lakes, and to meet all the cows. I can now say I’ve milked a cow…sort of (I got like a teaspoon of milk in 60 seconds). 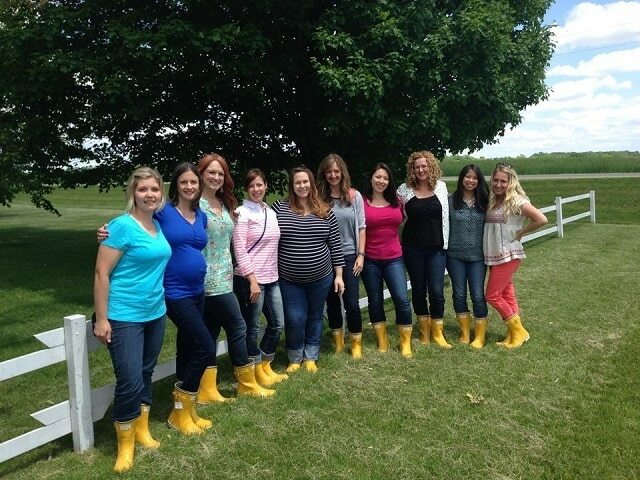 From left to right: Sadie, Maria, Ree, Sommer, Jessica, Brenda, Me, Bridget, Julie, and Jenny. Later that evening we went out to dinner at 112 Eatery in Minneapolis, and oh my word was it good! 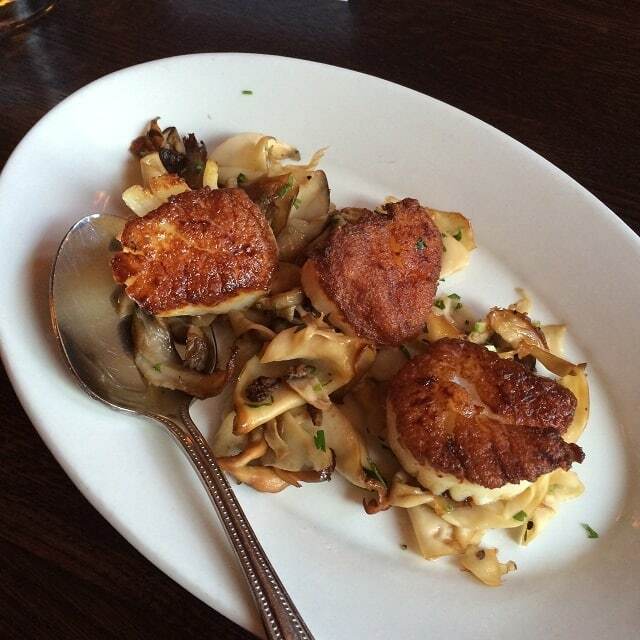 My favorite savory dish was these scallops with sauteed mushrooms. 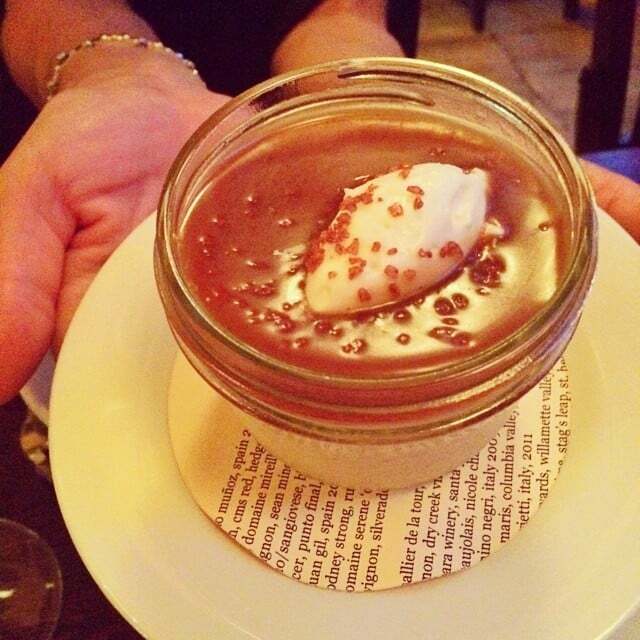 But this Butterscotch Budino dessert totally stole the show. Yes, I will be posting the recipe on the blog sometime. The next day we went to the Land O’Lakes Headquarters and got to have a behind-the-scenes look at R&D and the test kitchen. It was awesome to see where they test and create their recipes, and I loved meeting the people of Land O’Lakes. Everyone was so friendly and excited about their work! It’s crazy how differently the cookies turn out, right? 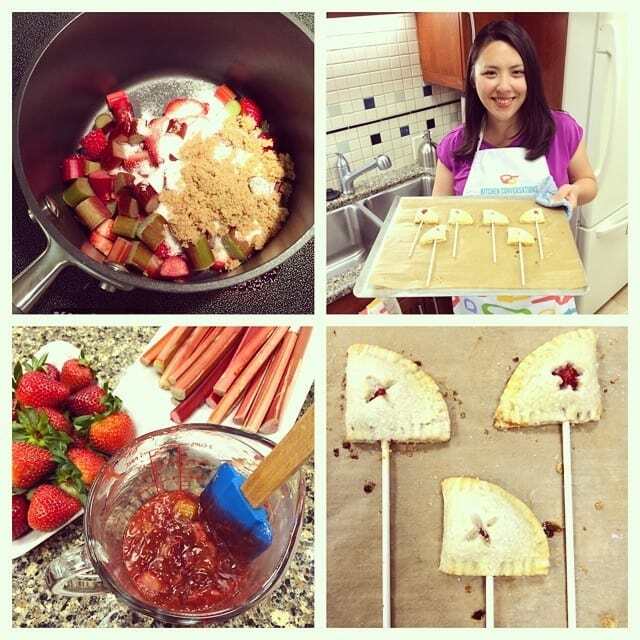 Later on we got to have some fun cooking time in the kitchen and we made some Rhubarb Strawberry Pies on a Stick! 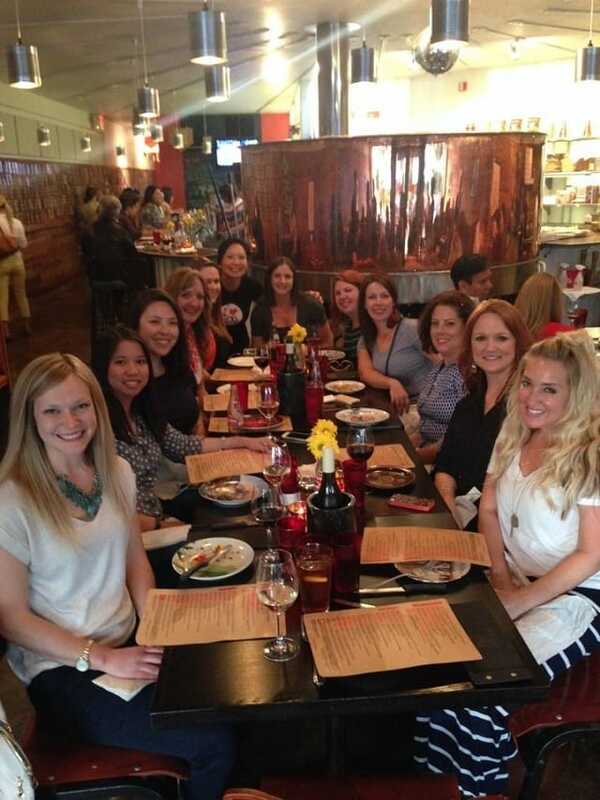 I had so much fun traveling to the twin cities and seeing my Kitchen Conversations friends. Thanks to Land O’Lakes for having me! Disclosure: I’m working with Land O’Lakes this year but this post is all mine! Just wanted to share some photos from my trip with you. Oh man!!! I saw your post and thought you were going to follow-up with some great butter making recipes, kimchee recipes, and all kinds of cool stuff! The meatballs look INCREDIBLE. The trip looked like fun but no spouses on the trip with you? What a fun trip and sounds like the most amazing food! What a fun trip! 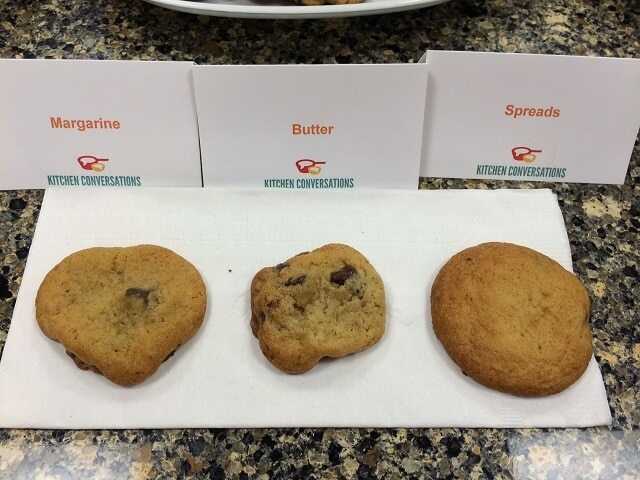 Love that picture of the cookies with the different fats! So crazy! Wow!!! I was just searching for the archive section on Pioneer Woman’s blog when I saw the link to your blog at the bottom of her page. First time I’ve been here, and I see you were just HERE (MN girl here – holla!) and ya’all ate at my favorite places!! 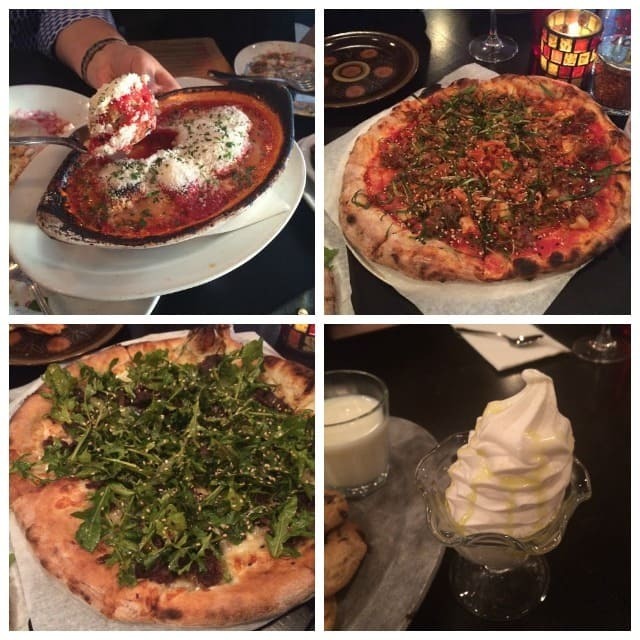 I go to Pizzeria Lola a lot, and specifically, on my birthday every year! I love all the pizzas you showed here, but my favorites are the Korean BBQ pizza and the Boise pizza (potato, gruyere, fontina, caramelized onion, olive oil & rosemary). The next time you’re back in town, you have to try the Boise, it’s ridiculously good. And I love their “make-your-own ice cream sandwich” thing. They add salt to the tops of their chocolate chip cookies, and they serve it with their homemade soft serve, which you already know is fantastic. Anyhow, so bummed I didn’t happen to cross paths with your group, but so glad you enjoyed your visit! And I love all your fantastic instructions here (who knew that fresh pumpkin was so much better? The few times I was banned from eating chocolate (overnight med tests), I dove right into pumpkin desserts instead. Love ’em.) And now I’m anxious to try aging my cookie dough. I kind of want to try baking them longer, the way you like them versus your husband. Glad I found your blog, and happy you enjoyed your stay! Hi Kim, awesome that you are from the twin cities! I loved my visit there. It was quick, but I got to see some cool things and eat at great places. I hope to be back in the future!! And yes, I did have the Boise pizza and it was awesome!! And the soft-serve…OH my goodness. So good! I love Land O Lakes white cheese! I’ve eaten it my entire life. Down here in Florida ( North Port) our grocery store does not sell Land O Lake cheese. They only sell their own Public brands! I want Land O lakes !!!!!!!!!!!!! !It’s the Public’s on Toledo Blade Blvd. Price Crossings!! !